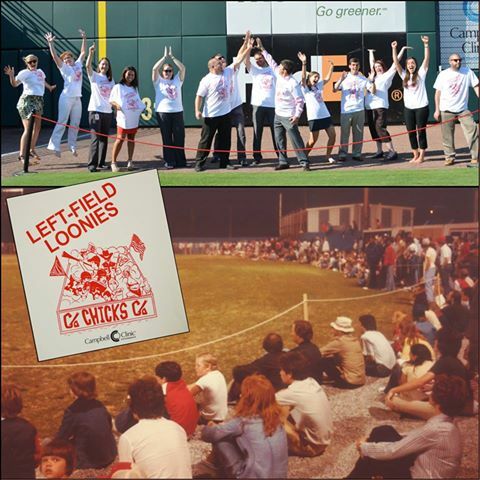 The Front Office got a little looney yesterday… Don’t miss our Left Field Loonies t-shirt giveaway this Friday, August 2! We’ll also have $.50 hotdogs and sodas, and the Redbirds will wear throwback Memphis Chicks jerseys! Purchase your tickets! Stan “The Man” Statue Giveaway! The memory of Stan “The Man” Musial is alive at AZP with an outfield wall sign & uniform patch. 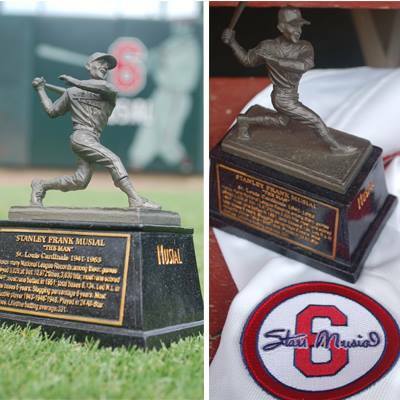 Stan Musial statue giveaway on Thursday! 1.) 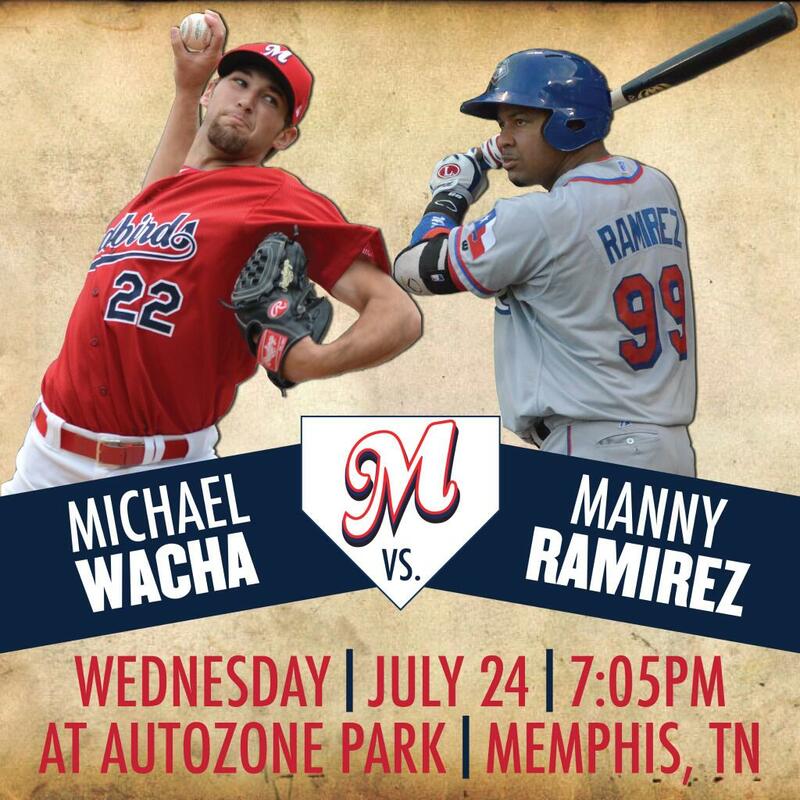 Tweet us @memphisredbirds and @Sgf_Cardinals with the hashtag #mascotmania or just retweet us! 2.) Head to the website and look for Rockey under the Pacfic Coast League tab and Louie under the Texas League tab! Lil Stan took BP with the ‘Birds! Lil Stan had a great time at batting practice with the Redbirds before Thursday’s game! 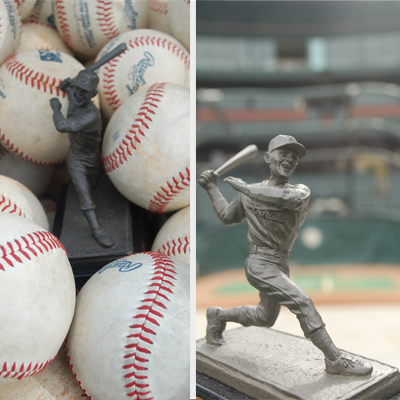 Don’t miss our Stan Musial statue giveaway (first 3,000 fans) on August 1st. 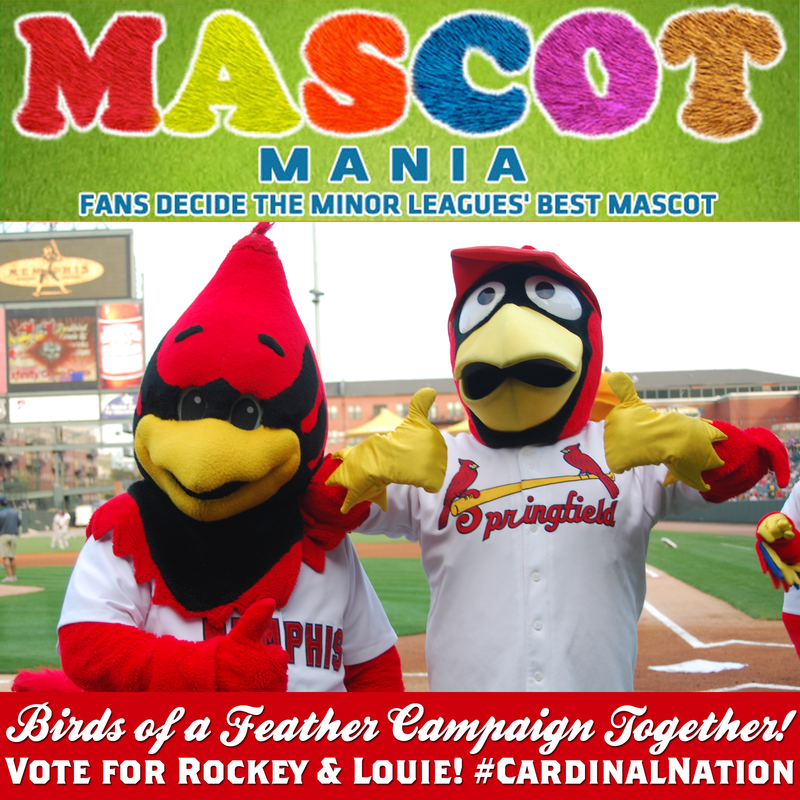 Hey #CardinalNation, Vote for Rockey and Louie! Rockey’s Bday Present: Winning Mascot Mania! Today, around 15 years ago, the “Best Bird in Baseball” was born. 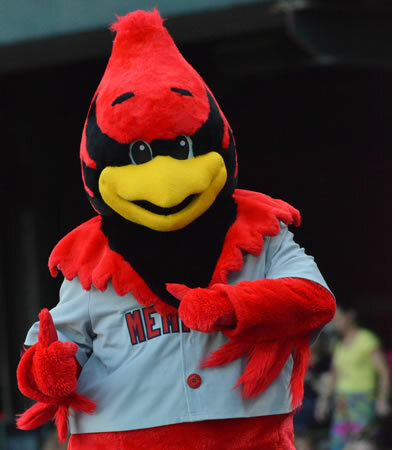 We’re not 100 percent sure of the year, but we do know Rockey the Redbird likes to celebrate in a big way. 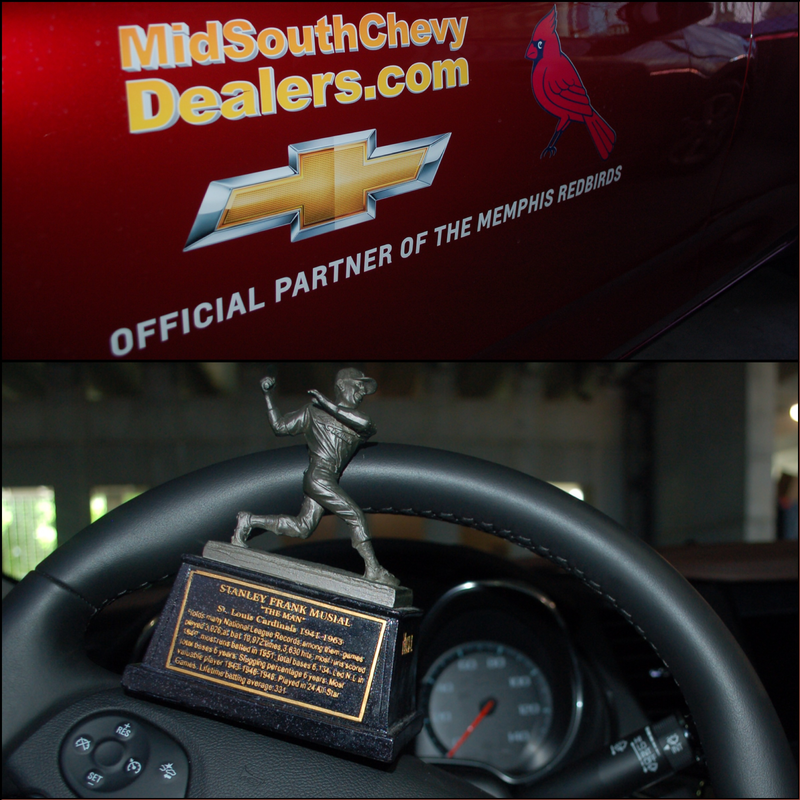 He’s invited some of his closest mascot friends in the Mid-south to AutoZone Park tonight for his party! The guest list includes: Pouncer of The University of Memphis, Howl of Arkansas State University, Sheldon and River Thing from the Mississippi RiverKings, and more! Game time is set for 6:05 PM, but the birdie birthday festivities start when the gates open at 5 PM! Now to the best part. 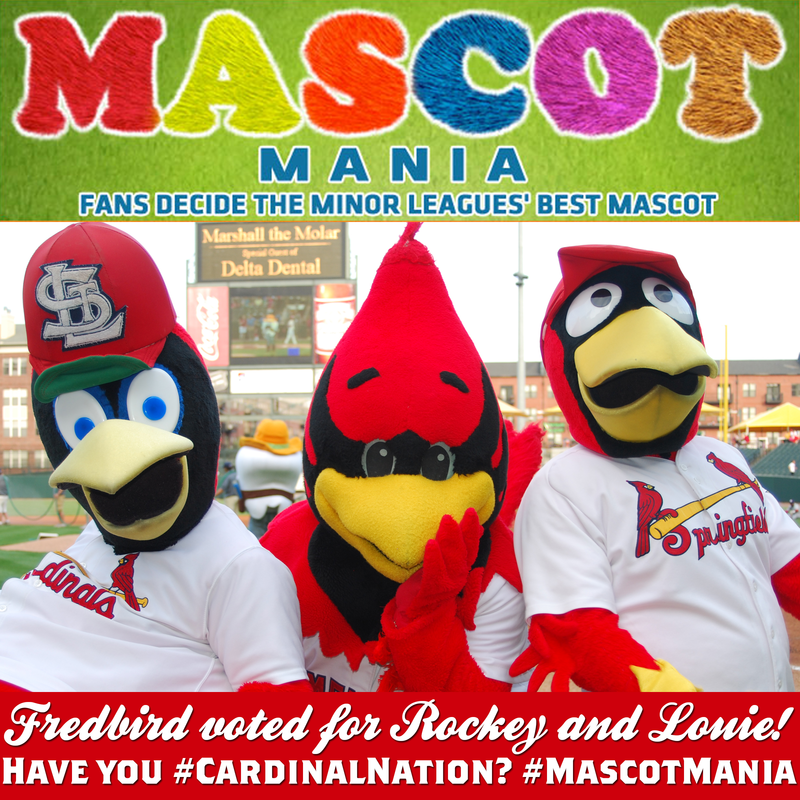 Make it the best birthday ever by voting for Rockey to be the Best Mascot in the Pacific Coast League in the MiLB Mascot Madness! Don’t stop there! 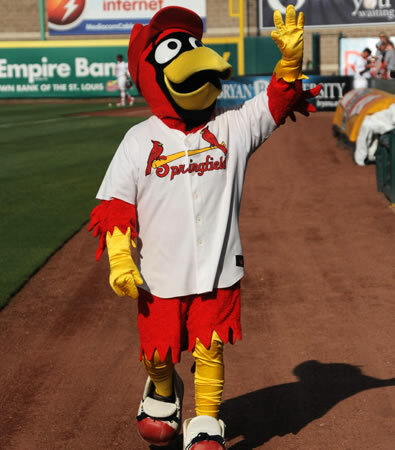 Next, vote for our Double-A cohorts the Springfield Cardinals’ mascot, Louie, as the Best Mascot of the Texas League! 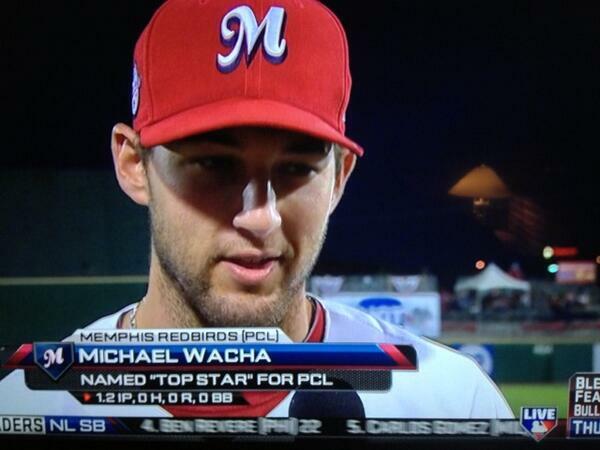 Better Late than Never: “Top Star” Michael Wacha! RHP Michael Wacha being interviewed after receiving the “Top Star” award for the PCL in the 2013 Triple-A All-Star Game. 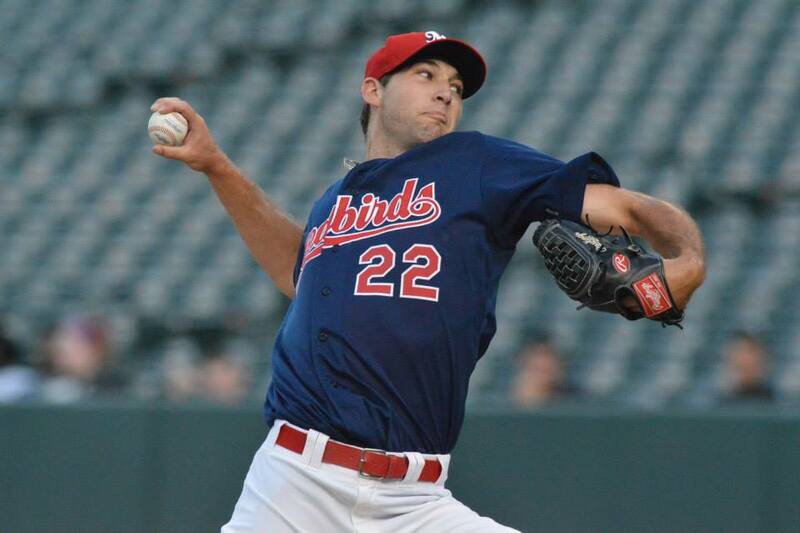 Things have been so busy in the ballpark that I forgot to congratulate our very own Michael Wacha who received the “Top Star” award for the Pacific Coast League in the 2013 Triple-A All-Star Game! Wacha relieved for 1 2/3 innings with 22 pitches retiring 5 batters on 4 groundouts and a fly ball. He pitched a perfect inning in the 7th. We have exciting news for Cardinals fans in the Mid-south! 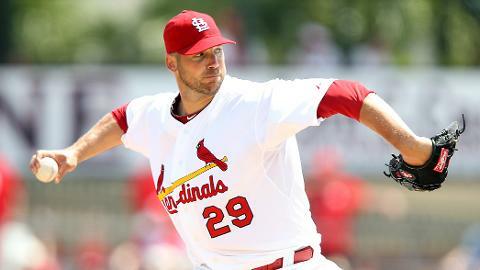 2005 National League Cy Young winner and three time All-Star Chris Carpenter will start our 6:05 PM game this Saturday, July 20 in Memphis. The 38-year-old, who is currently on the St. Louis Cardinals’ 60 day disabled list for back and shoulder injuries, started at the Double-A level in Springfield, Mo. Monday, throwing 54 pitches (38 strikes). Cardinals Manager Mike Matheny was pleased with his performance in Springfield and is looking for Carpenter to throw up to 80 pitches Saturday. You’re not going to want to miss it. Ticket packages for Saturday’s game are currently on sale. Call (901) 722-0299 or visit the Redbirds website at www.memphisredbirds.com to order or for more information.